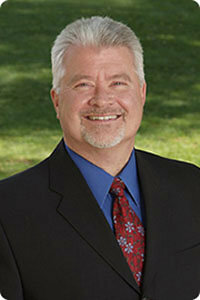 Dr. Manning was born and raised in the Phoenix metro area. He graduated with honors from Baylor University in Waco, Texas. Dr. Manning then attended medical school at the University of Texas Medical School in Houston. Dr. Manning pursued his Internal Medicine residency in Phoenix at St. Joseph’s Hospital and Medical Center. He then completed an Allergy, Asthma and Immunology Fellowship at Scripps Clinic and Research Foundation in La Jolla, California. Dr. Manning is a Fellow in the American Academy of Allergy, Asthma and Immunology and the American College of Allergy, Asthma and Immunology. Dr. Manning is very active in many national, regional and state societies and is involved with research to continually improve the treatments of allergies and asthma. He is past president of the Western Society of Allergy, Asthma and Immunology and lectures frequently to physicians in Arizona and regionally. Dr. Manning was very pleased to join Allergy, Asthma and Immunology Associates, since he received allergy injections as a youngster at AAI. Dr. Manning and his wife Jennifer have four children. He spends time assisting with youth athletics, often coaching. (480) 949-7377: Laura Nelson, RN Contact for OIT.